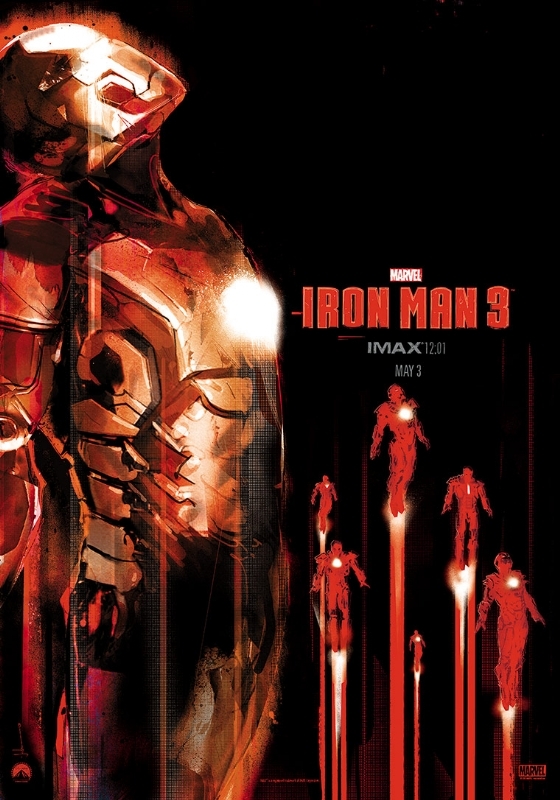 IMAX unveiled the limited edition Iron Man 3 poster that will be handed out to the audiences who attend the midnight showing for Iron Man 3 in IMAX 3D. The poster was designed by the artist simply known as Jock. You can check out other designs by Jock on his website HERE. I could go on and on admiring the poster, but I’ll just sum it up with this: I want it. Iron Man 3 dominates theaters May 3. You know where you’ll find me.